Acer has announces that thirteen of its products have been honored with the prestigious Red Dot Design Awards for design excellence. These wins come on the heels of Acer’s twelve wins at the recent iF Design Award 2018. This year, with industry-leading innovations such as the Swift 7, the world’s thinnest notebook, and the Acer Chromebook Tab 10, the first Chrome OS tablet for education, the Red Dot award-winning Acer products cover a broad range of categories, ranging from notebooks, desktops, headsets, monitors, to projectors. This exemplifies Acer’s commitment to making outstanding design an integral consideration for the user experience, regardless of product type and price point. The iF Design Award 2018-winning notebook’s svelte 18.9 mm (0.74 inch) thin, 2.45 kg (5.4 pound) aluminum chassis houses a 15.6-inch Full HD IPS display and best-in-class computing technologies for just the right balance of size and performance without sacrificing thermals, features or rigidity. Its understated black chassis features a minimalist design, with straight contours and angular front corners. The Predator Galea 500 gaming headset puts gamers right inside the game, giving them the ability to hear and not just see the exact location of elements within the game. It achieves this with Acer’s TrueHarmony 3D Soundscape technology, and recreates the acoustic space based on the orientation of the player’s head, convincing the brain that sound is coming from a fixed direction. The Swift 5 is designed for users who want superb portability, solid performance, and a touch of style. The elegant chassis weighs just 970 g making it ideal for people always on the go. A sophisticated selection of materials include ultra-light magnesium-lithium alloys for the top and bottom covers, and magnesium-aluminum alloys for extra sturdiness on the palm rest area. 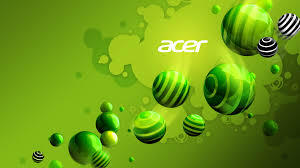 The Acer Spin 5 features a major breakthrough in design, namely its speakers. In the past, speakers found on convertible notebooks were easily obstructed while in certain usage modes. Acer overcame this with a practical design that ensures the speakers are never obstructed in any of the device’s four modes to ensure uncompromised audio. At just 8.98 mm thin the Acer Swift 7 is the world’s thinnest laptop. The premium aluminum unibody is pleasing to the eye and gentle to touch, perfect for modern professionals seeking a sophisticated looking device. It has built-in, blazing-fast 4G LTE connectivity which keeps users productive and always-connected, especially useful for professionals who wish to eliminate tedious wireless connection problems on the road so they can stay focused on the task at hand. Built for the casual gamer, the Acer Nitro 5 features a striking design that lets them stand out from the crowd. It sports a mysterious black carbon fiber laser-engraved pattern combined with a menacing red hinge that evokes the spirit of gaming, while also offering outstanding rigidity. With solid performance powered by up to 8th Gen Intel® Core processors, the Acer Chromebox CXI3 is a great choice for desktop scenarios in computer labs and libraries. The Acer Chromebox CXI3 features a compact design that fits neatly into all sorts of environments, and can be placed freestanding with the included stand, or secured to the back of the monitor with an optional VESA mounting kit. Designed for education, the Acer Chromebook Tab 10 will be used in K-12 classrooms to expand and enhance student learning by bringing the speed, simplicity and security of Chrome OS into the tablet form factor. It will support augmented reality in the future to allow students to experience new ways of learning with Expeditions AR. Expeditions AR is Google’s augmented reality technology that maps the classroom and places 3D objects in it for students to study, making subjects such as biology, geography and astronomy easier to comprehend. The newest generation of Acer Veriton N modular desktops feature a space-saving, customizable mini PC designed that allows the addition of 1 liter module add-ons for M.2 SSDs, ODDs, HDDs, I/O ports, card readers and graphic cards for easy tool-less expansion and upgradability. The Acer RG0 series gaming monitor is small in form, but big on gaming. The Full HD monitor features an incredibly slim 7 mm profile and is designed to enhance the gaming experience with a ZeroFrame design that maximizes its viewable screen area, Radeon Freesync technology, vivid IPS panel and 1 ms MPRT. The Acer VG0 series gaming monitor is an entry gaming monitor that offers a true-to-life color experience. It is able to do this with Radeon FreeSync and IPS technologies, while its ZeroFrame design further enhances the gaming experience by maximizing the viewable screen area. The display sits atop of a sharply-cut three-pronged stand that exudes gaming. The Acer VL7860 projector raises the bar for home cinema entertainment with laser image quality. It is equipped with an innovative laser diode that provides 3,000 lumens brightness and 4K UHD (3,840 x 2,160) resolution with 8.3-megapixel on-screen display. The VL7860 features a compact design that allows it be easily set up in a wide range of environments. The C200 LED projector features an amazingly compact (110 x 120 x 30 mm) and lightweight (350 g) form factor that makes it ideal for use outdoors, such as during camping or a day at the beach. With its built-in battery, the C200 can go just about anywhere. The C200 is also a handy tool for work on the go, especially when an impromptu presentation is required.